Get inspired with health quotes and words from Canadian pharmacy online, or laugh at funny quotes about diseases and conditions. The Big Treasure Is Living Healthier! 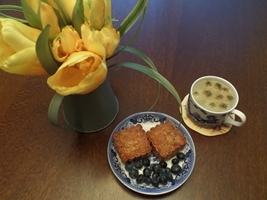 Feel free to Pin & Share at our Pinterest board, click here. Do you know how easy it is to make noodles at home? Really easy! Here's a great recipe for homemade noodles and a step-by-step guide through the entire process. 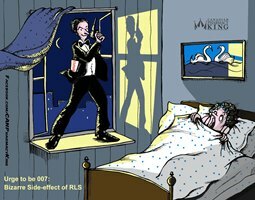 Sometimes treating Restless leg Syndrome by taking Mirapex tablets and Requip can have very unusual side effects such as an uncontrollable desire to engage in activities like gambling, drinking and strong sexual impulses. Perhaps even attempts to become a secret agent in the manner of James Bond. Even if you don’t take any medications yourself, I’m sure you’ve at least seen a commercial on TV for some of the more popular ones on the market right now. Somewhere near the end of the commercial is a list of possible side effects (usually ranging from headaches, nausea, vomiting, etc.). However, there are also many rare side effects that have no other way to describe them other than… bizarre. They’re often so rare that you’ll never hear about them in commercials, but they certainly exist. The resent Ebola outbreak has already claimed over 2,000 lives. But it could have been stopped, if a vaccine had been developed and stockpiled sooner. Unfortunately big pharmaceutical companies, which dominate the market, were not interested in investing in vaccine, as the poorest countries in the world can't afford to pay for a new vaccine. We live in the information age, to be sure – and this age is spreading to all parts of the world. This is good news for those parts previous left in the dark, where word-of-mouth is how vital information was shared. Social media is changing the way that same vital information is now shared, particularly in Africa. 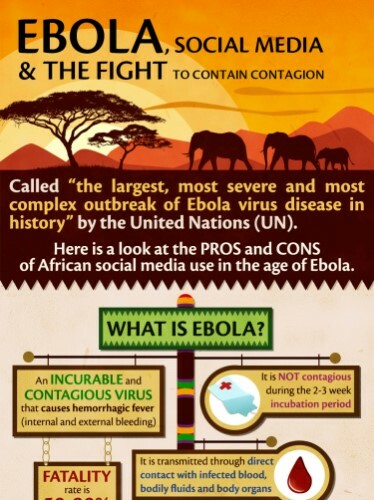 This infograph sets out to not only give you some valuable pieces of intel about the Ebola virus, but also how social media is playing a role. With contagious diseases such as Ebola, arming people with accurate information is key to protecting themselves. The good news is, while 2014 has been one of the deadliest years in terms of the disease, more people than ever before are online and gathering an arsenal of knowledge to combat the hysteria. 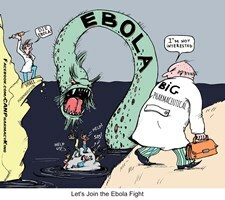 Check out some of the startling facts on Ebola in this new Age of Information. Leave us a comment below and let us know your thoughts. When news of the recent outbreak scare of enterovirus 68 hit the news this past weekend, as a parent, I was obviously concerned. Ten states so far have contacted the CDC for assistance in investigating clusters of enterovirus -- Colorado, North Carolina, Georgia, Ohio, Iowa, Illinois, Missouri, Kansas, Oklahoma, and Kentucky. Living in Minnesota, having two neighboring states with outbreaks is a bit unnerving. According to the latest reports - I'm not the only one unnerved. 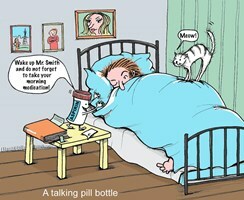 One of the biggest problems in medicine is that people don't consistently take the drugs they're prescribed. A new pill bottle cap connected to wireless network is going to be a solution. The system called "Vitality" will blink and make sound signals to remind a patient to take his medicine and can be set to alert if someone isn't taking medicine. Mooncakes are a traditional Chinese dessert typically eaten during the annual Mid-Autumn Festival, also aptly called the Mooncake Festival. This popular festival falls on the 15th day of the 8th month of the Chinese Lunar calendar and celebrates the moon and the abundance of harvest. This year’s festival happens to be on September 8th, 2014, but the celebration will generally last from the 6th – 8th. Families will gather to celebrate together, give offerings and thanks to the moon, and moon gaze together – whether far or near. People around the world celebrating the Mid-Autumn Festival will also celebrate by eating mooncakes to express their love for their family and their hope for a happy life. 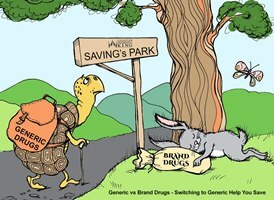 What do you think when you see a generic version of a familiar brand name medication? Perhaps, that it must not be as effective and safe, as brand-name version? You would be wrong! Food and Drug Administration (FDA) must approve the generic drug before it can be marketed, so it is safe to take and the drug will be priced at least 45% lower than the brand-name drug. What influences or motivates the way we behave? According to humanist psychologist Abraham Maslow, our behaviors are motivated to achieve a certain hierarchy of needs. Maslow first introduced his concept of a hierarchy in his 1943 paper "A Theory of Human Motivation" and his subsequent book Motivation and Personality. This hierarchy suggests that people are motivated to fulfill basic needs before moving on to other, more advanced needs.